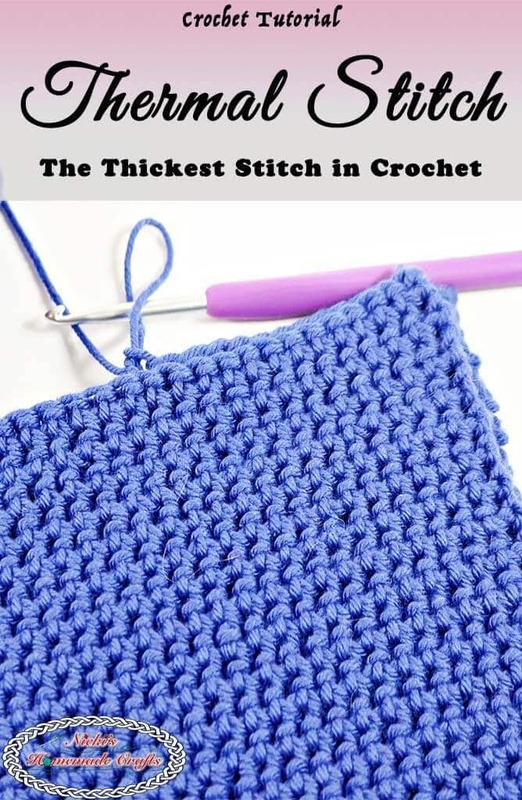 Learn how to crochet the Thermal Stitch Pattern. The Thermal Stitch Pattern is such a unique and special stitch! It is made differently like any other single crochet stitch pattern and is very thick and ideal for potholders! It comes with a very detailed photo and video tutorial! Check out both of the Thermal Stitch Pattern Tutorials right HERE! I love the look of this stitch – thank you for posting!